I know a woman – who I met through an online Disney World forum (gotta love technology, right?) – who I originally connected with because our sons are very close in age (within days of each other), and it has been fun to see them sort of “grow up” alongside each other. They both LOVE Disney of course – but the big difference between them is that he is lucky enough to get to go to Walt Disney World all the time – as his parents moved to central Florida about a year ago. -No More SNOW: Florida is in the South – therefore – no blizzards! Upstate NY sees it’s fair share of snow every year – and right about this time of year – mid January – is when it starts to get REAL old – the shoveling, plowing, salt everywhere, the below freezing temps…Florida might see colder days, and may even see a snowflake or two on occasion, but overall it is worlds warmer than what we are used to, that’s for sure! It feels really good to weigh out the good and bad on this – I have been mulling it over for a while and after looking at it on paper I know that we definitely will NOT be moving to Florida anytime soon. While being closer to Disney World is something I have always wanted, I realize that our life here is pretty great, and maybe someday we will have the time/money/means to move or to travel to WDW more – but for now – we will have to settle for visiting once in a while – and that is ok with me – gives me something to look forward to! What about you – would you ever consider moving to be closer to Disney? Is “Star Wars Land” Coming To Disneyland? 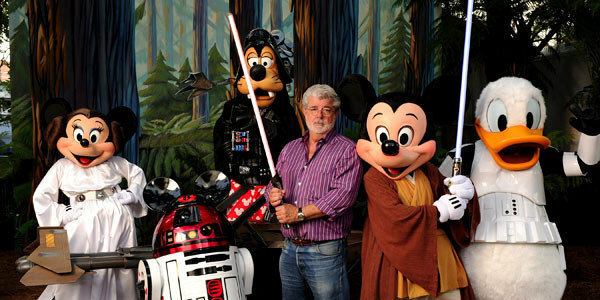 Now that Disney owns the rights to Star Wars and Lucas Film, they are making a 7th movie, and many are wondering if they are planning to do even more with Star Wars – like possibly build a whole Land themed after the legendary films?